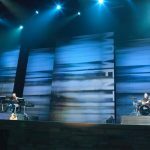 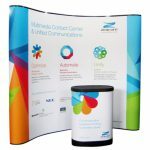 Are you hosting a marketing event where your company and the products and services you offer will be put on the spotlight? 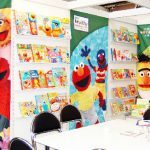 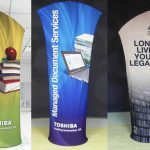 This means you need to use attractive and tasteful decor that will highlight the advantages of your offerings to the people attending the event. 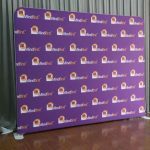 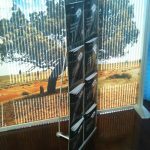 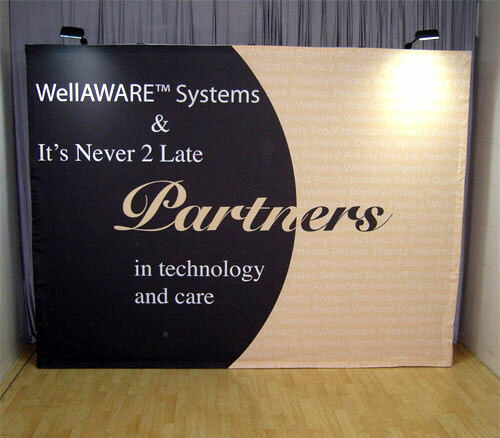 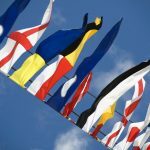 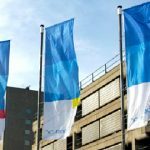 Stand up banners are one such type of decor that will help you achieve this aim, and we have the event signage to help you out. 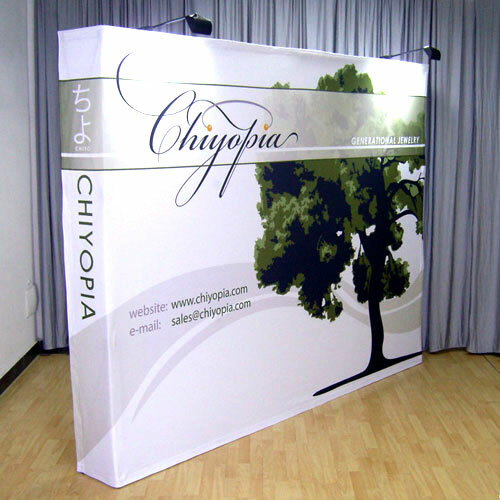 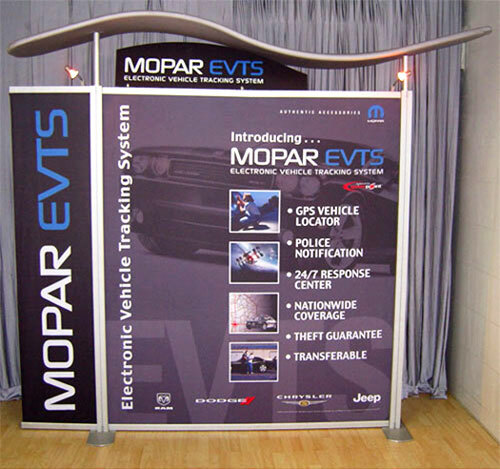 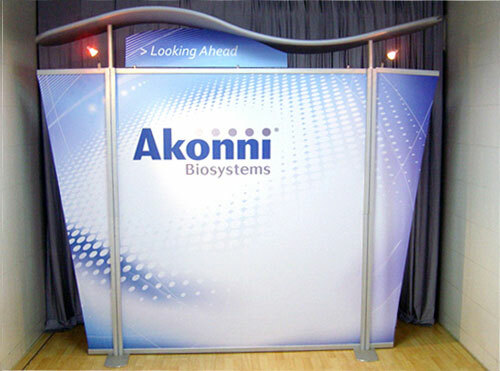 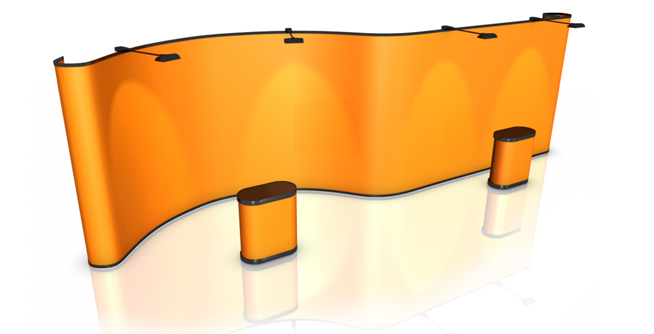 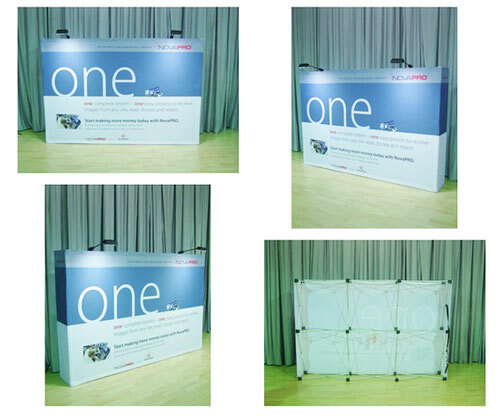 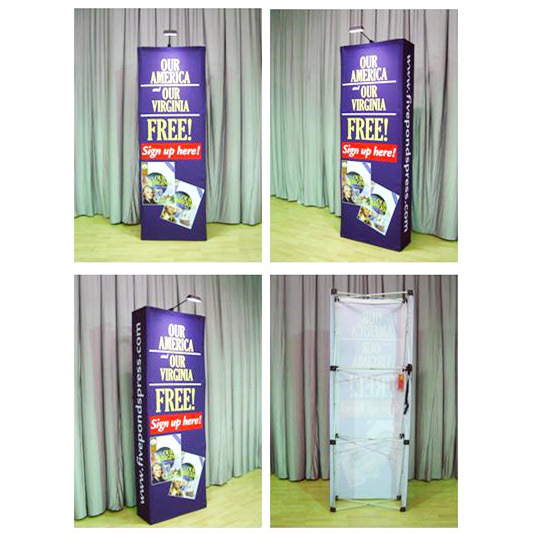 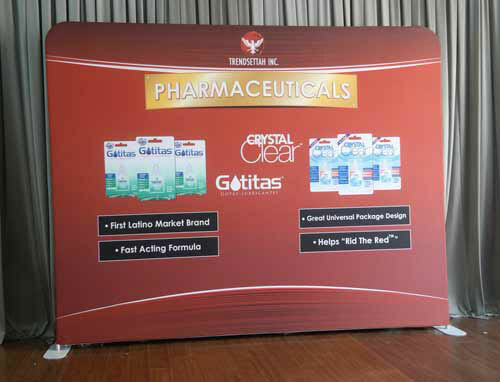 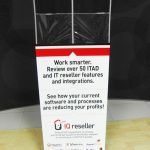 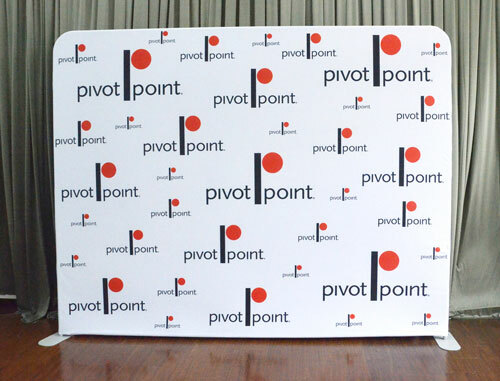 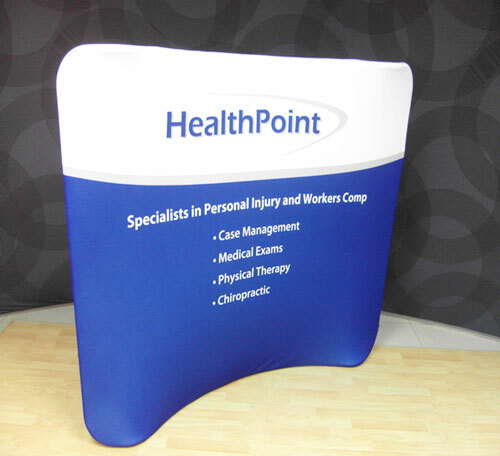 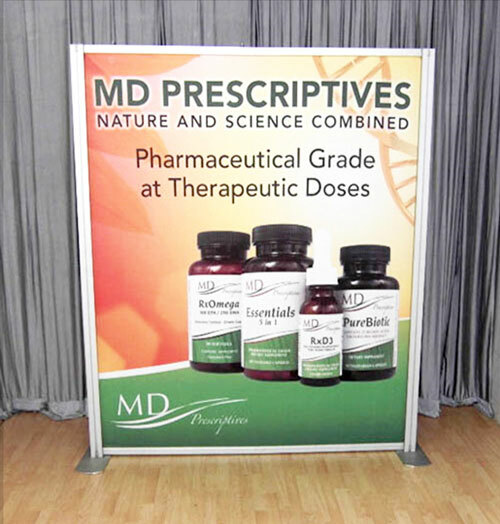 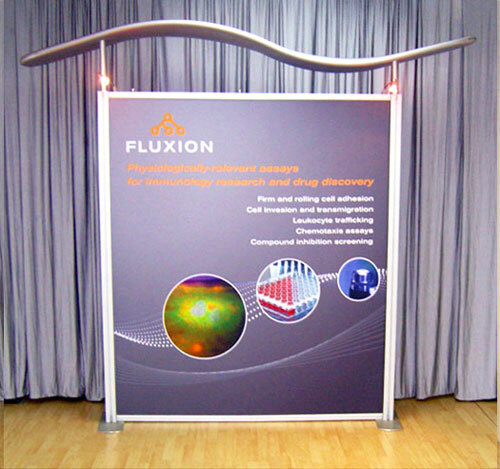 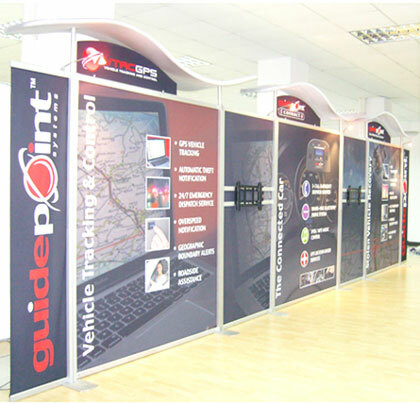 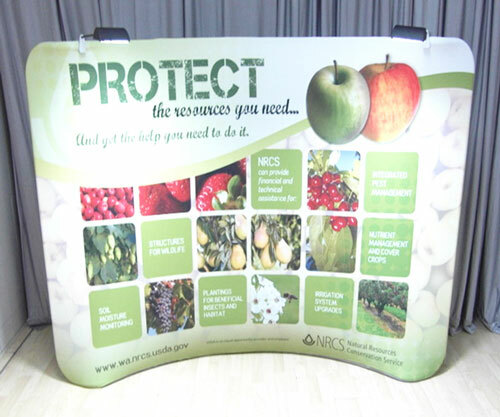 Our event signage stands are guaranteed high-quality. 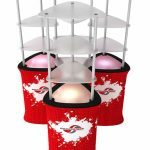 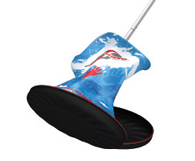 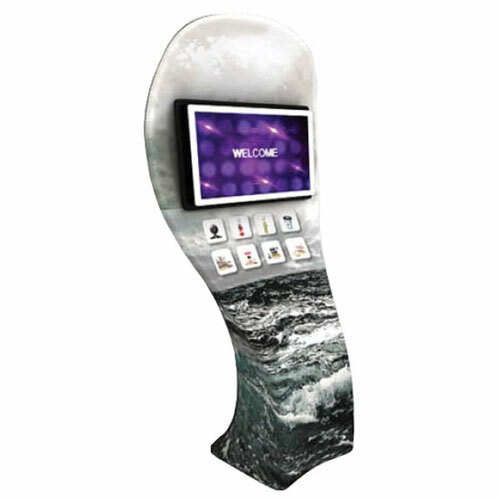 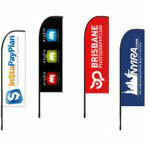 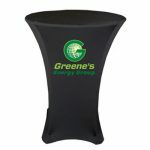 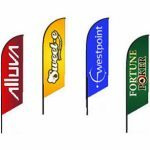 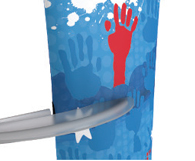 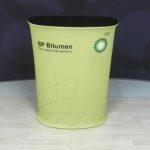 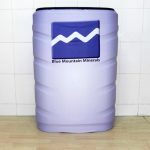 They are sure to turn heads when placed strategically at any venue. 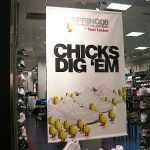 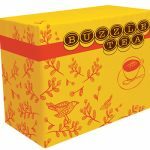 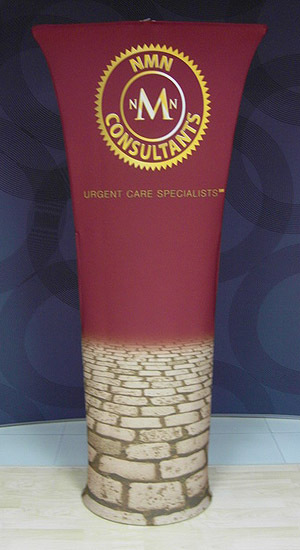 That’s because they have a unique shape (straight top tube) and they have richly printed fabric graphics. 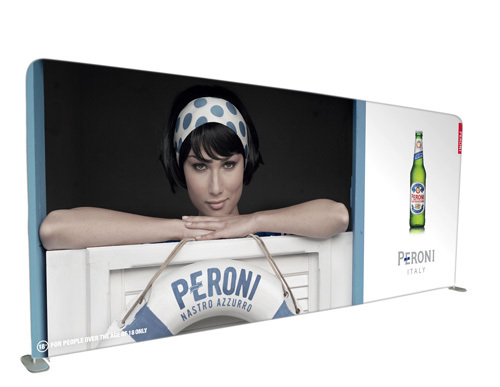 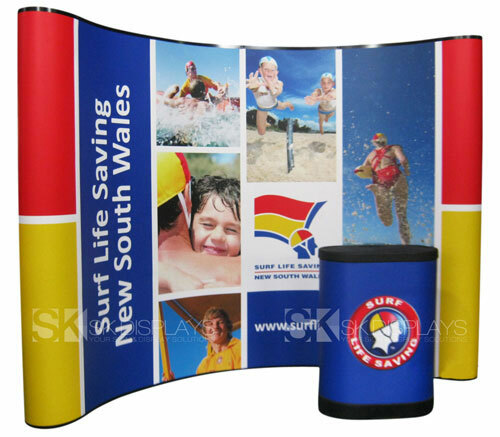 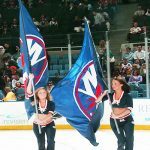 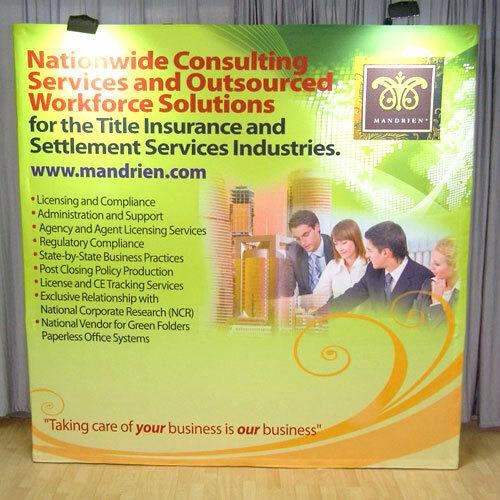 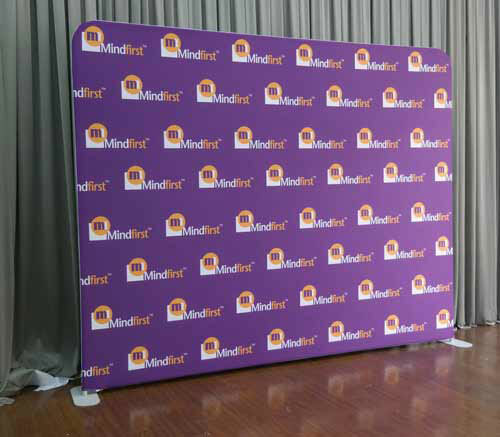 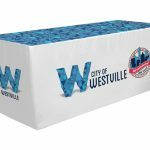 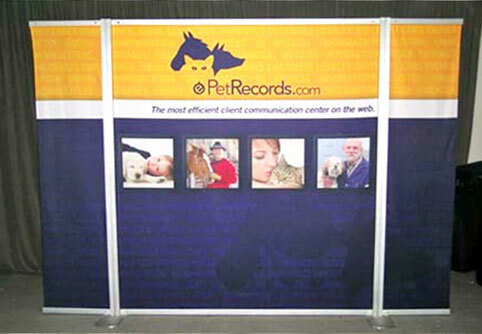 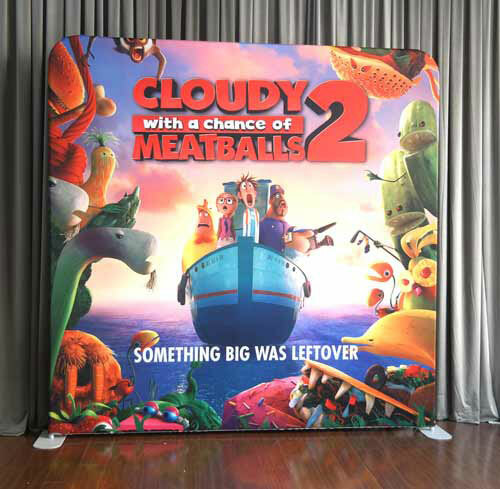 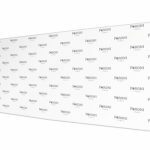 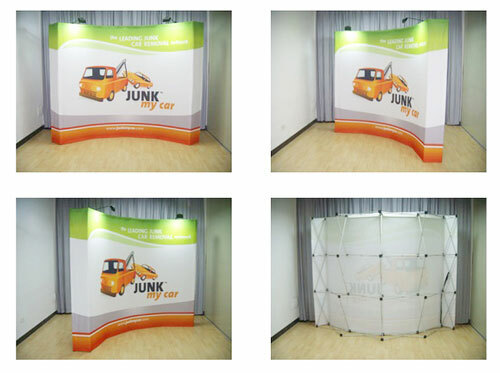 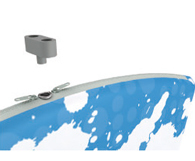 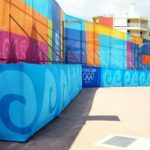 The fabric graphics of our brandcusi double-sided banner is its most winning characteristic. 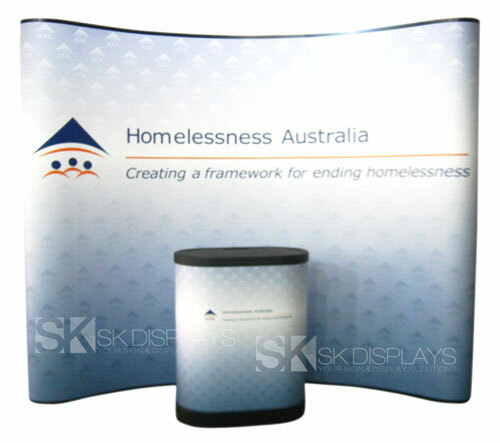 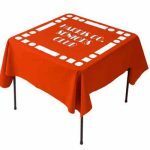 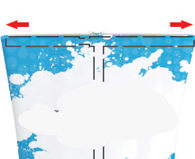 That’s because its sharp, clear details and its vivid, brilliant colours are produced using dye sublimation printing. 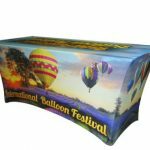 Dye sublimation is the most sophisticated fabric printing technology available in the market today. 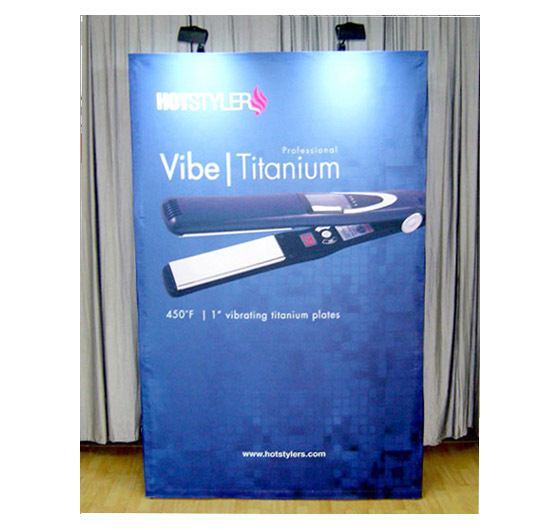 It uses high levels of heat and pressure to make ink transform from solid directly to gas and infuse the fibres of the fabric itself. 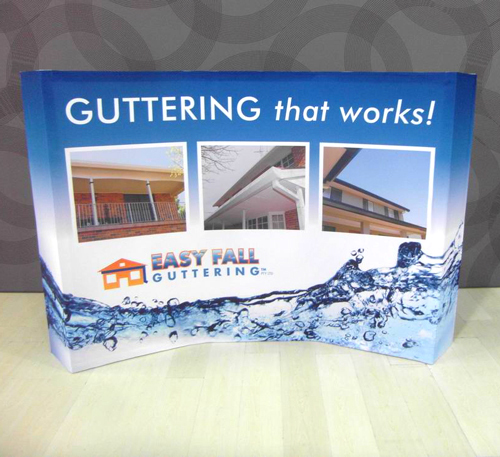 This results in exquisitely printed images that are permanent, resistant to damage, and resistant to fading. 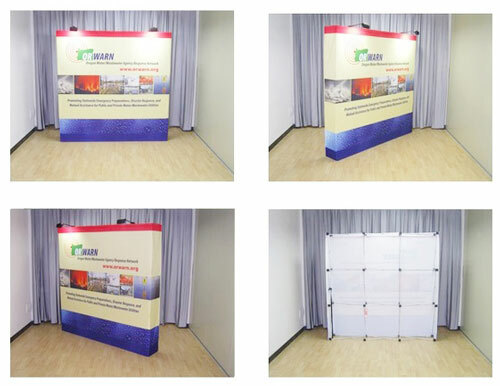 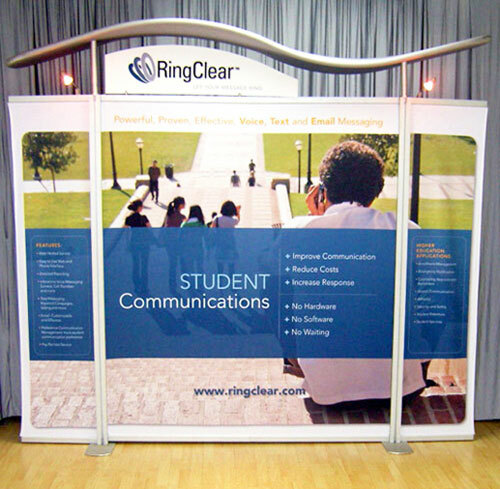 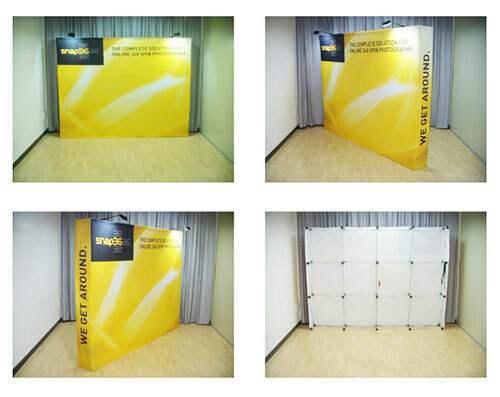 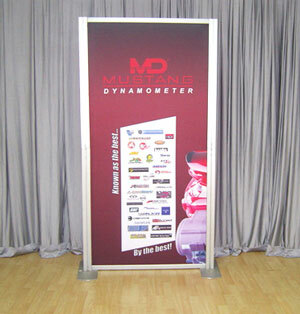 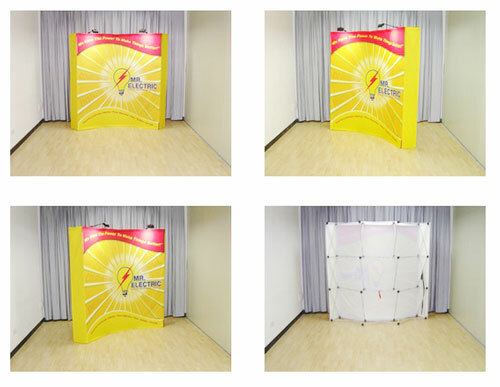 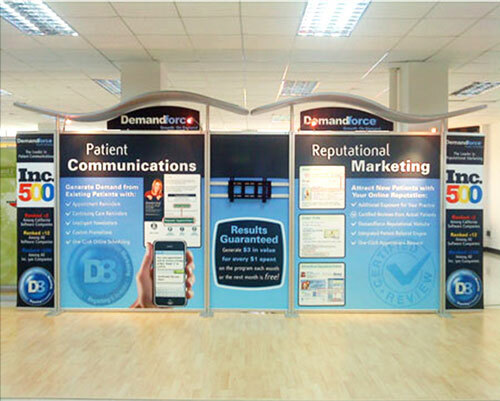 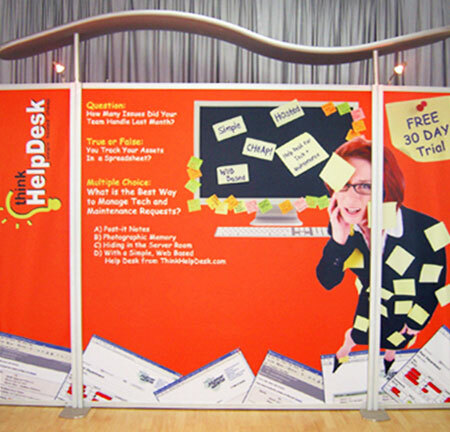 When you buy our stand-up banners, you will definitely get more value for your money. 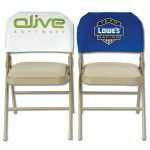 Each set already comes at an affordable price. 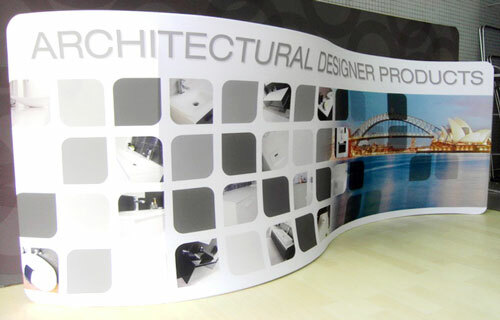 Moreover, because the printouts are permanent and resistant to fading, you can use them for a long time, as frequently as you want. 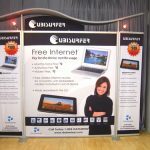 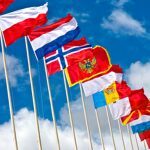 You can even use it to different types of events, such as expos and trade shows, corporate events, press conferences, conventions and other media events. 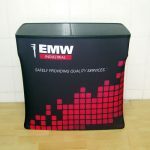 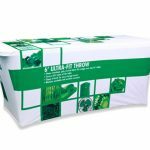 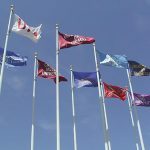 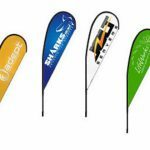 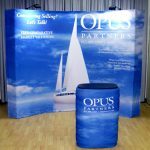 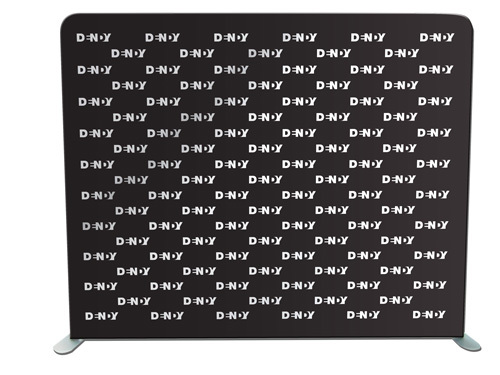 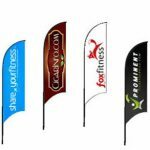 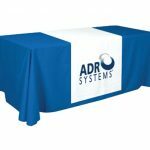 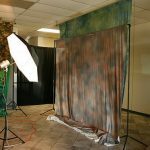 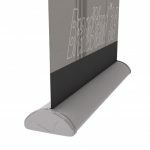 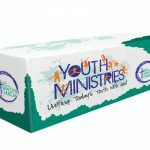 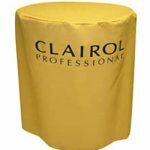 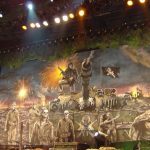 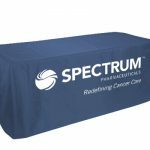 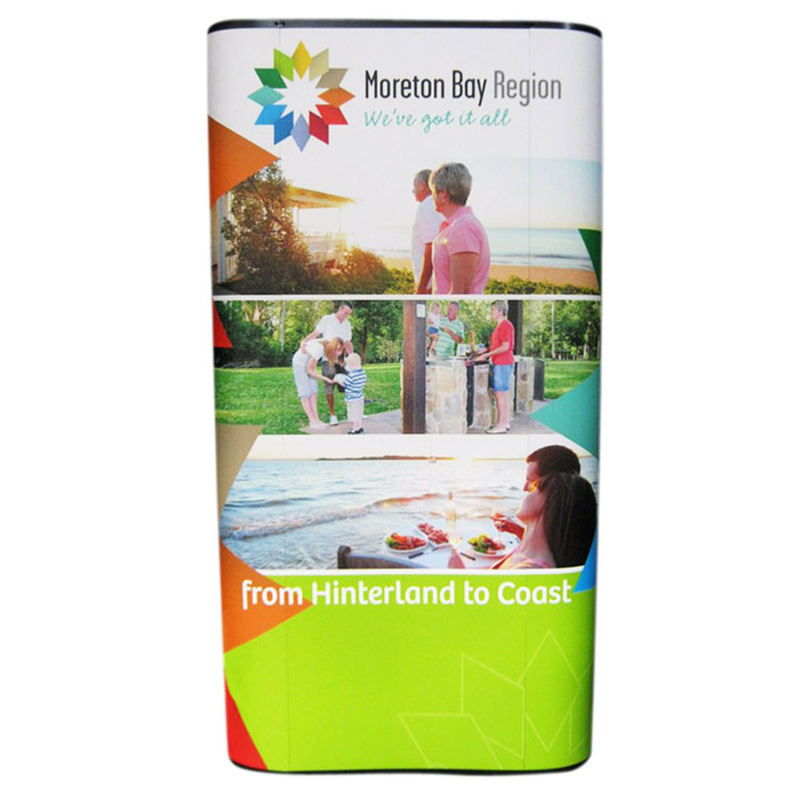 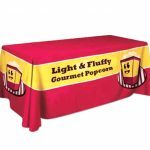 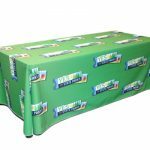 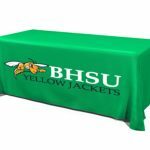 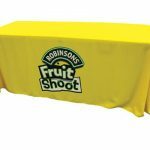 If you need new graphics for your banner stand, you only need to order a new fabric graphic to replace your old one; there is no need for you to buy new hardware as well. 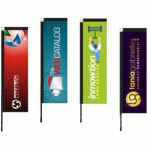 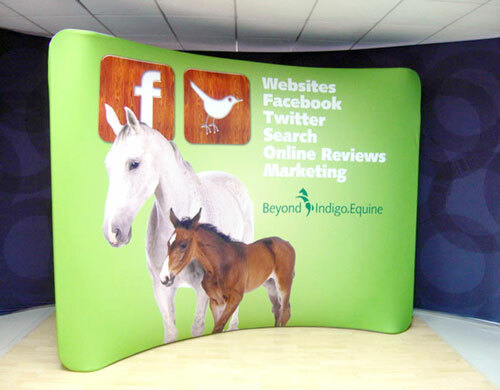 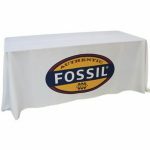 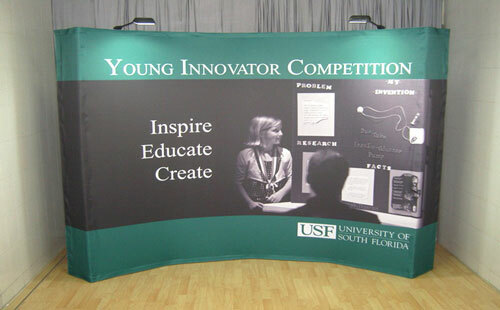 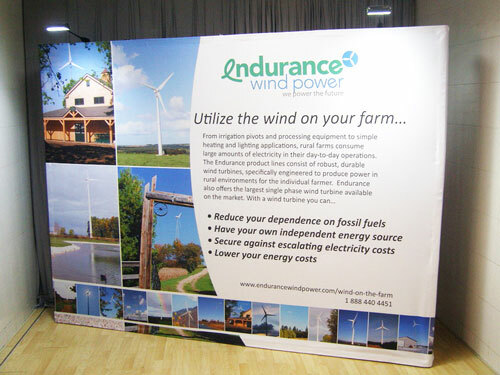 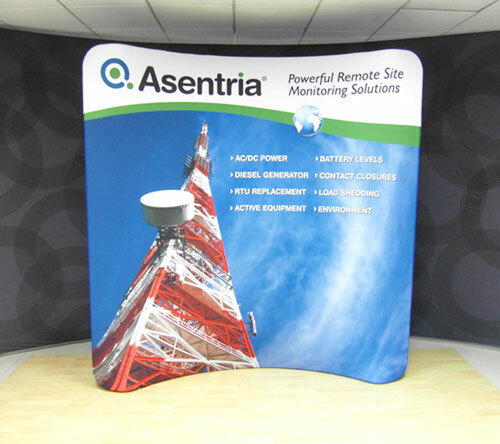 Our brandcusi banners are also very easy to set up. 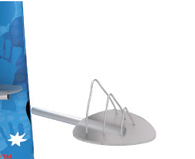 To do this, all you have to do is to put together the T-shaped frame and attaching it to its base. 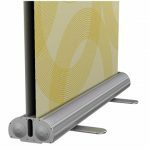 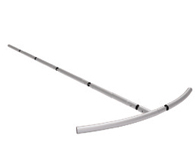 The frame is made up of foldable poles that lock at the joints and at the ends. 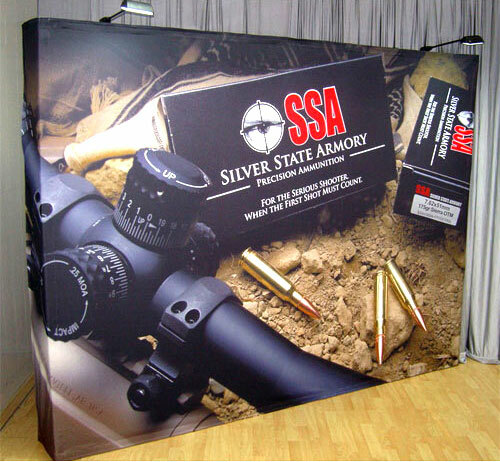 This keeps the setup simple and the frame sturdy and stable. 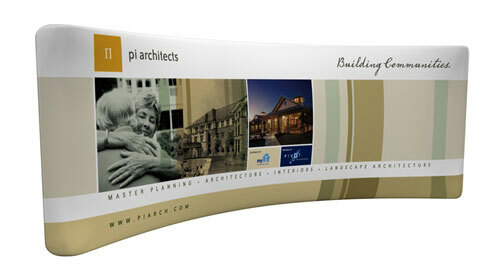 Once you have the frame up, you just slip the fabric graphic over the frame and zip it closed at the top. 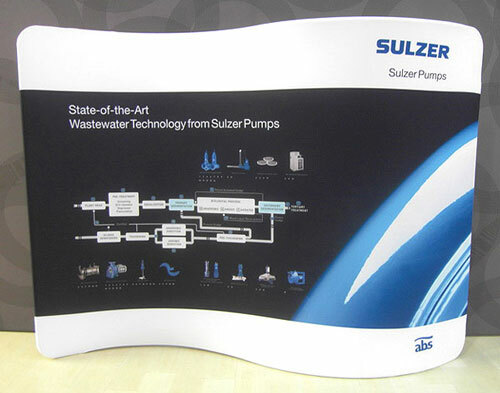 The whole process takes only five minutes to complete. 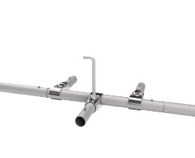 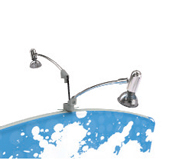 You can attach the optional halogen lamps at the top of the frame. 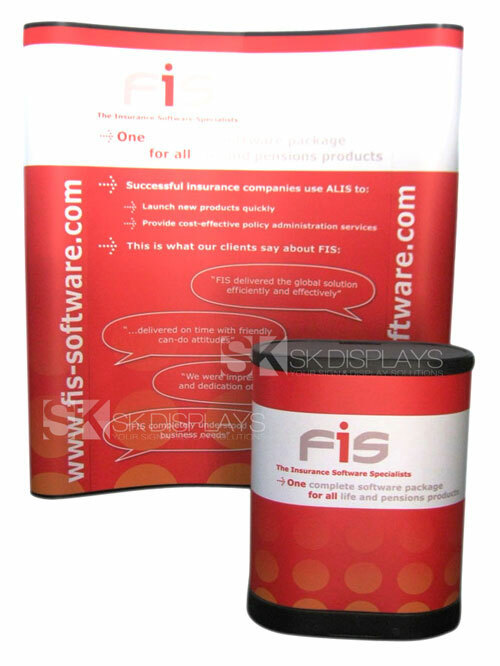 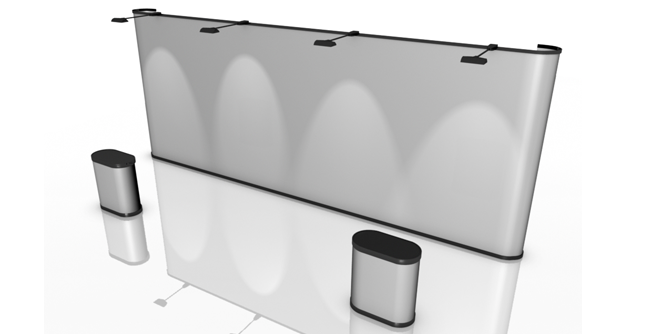 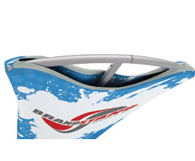 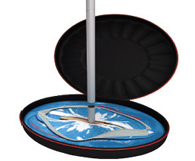 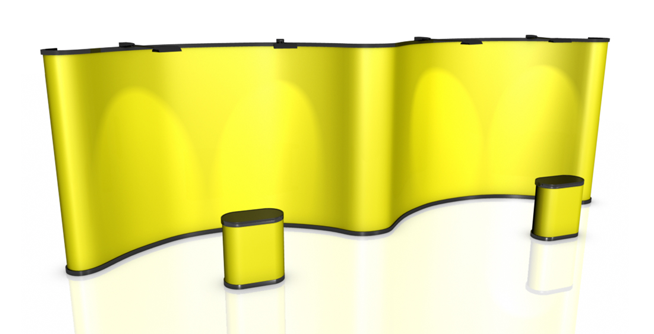 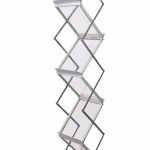 You can also slip on the plexiglass shelving and the catalogue holder on the banner stand without any fuss. 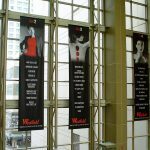 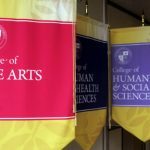 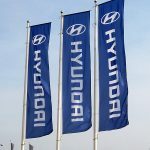 These events banners are truly the best option that will give you quality signage without spending a fortune in the process. 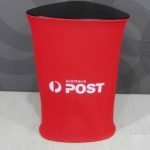 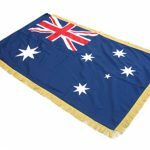 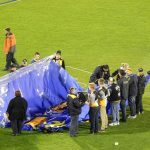 We deliver to Sydney, Melbourne, Perth, Adelaide, Darwin, Canberra, Gold Coast, Brisbane, and any location in Australia. 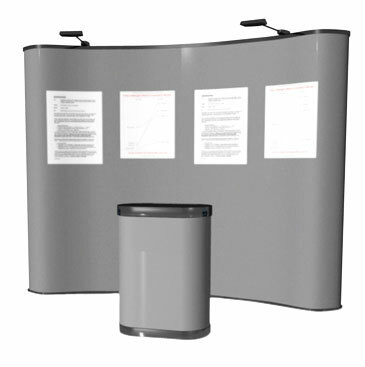 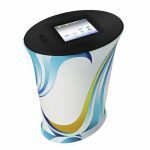 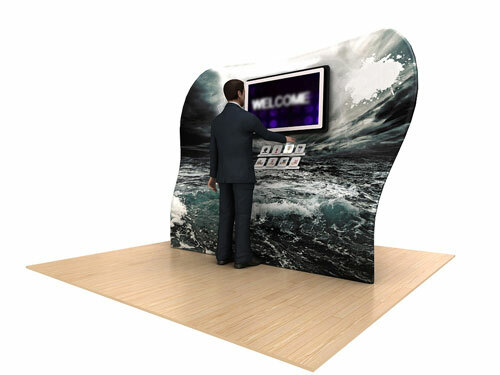 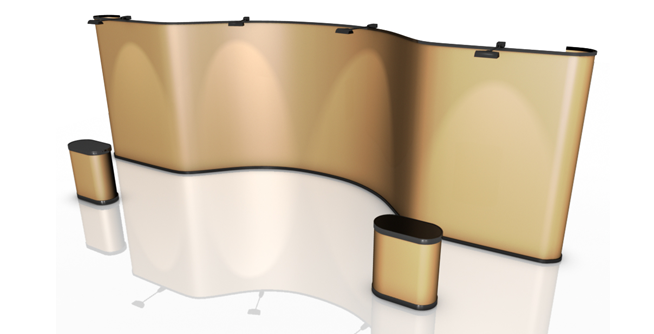 Call us right now so you can learn more about our brandcusi stands.